Brian A. Turner is an Associate Professor of Sport Management in the College of Education and Human Ecology at The Ohio State University. He earned his bachelor of science degree in Secondary Education from Baylor University and his masters of education degree in Physical Education from Tarleton State University. He received his Ph.D. in Sport Management from Ohio State in 2001. 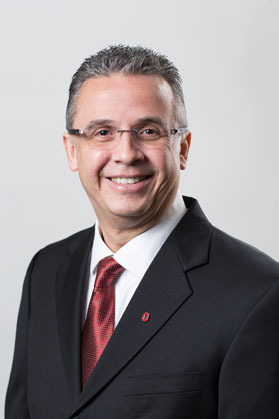 Prior to his current position, Dr. Turner served three years as the Director of Sport Management at DeSales University and one year as a Visiting Assistant Professor at the University of Oklahoma. He has published over 50 peer-reviewed articles and made over 80 presentations at national and international conferences. Additionally, Dr. Turner co-edited the textbook Marketing for Sport Business Success. He is past co-editor for the Journal of Issues in Intercollegiate Athletics and currently serves on three other editorial review boards. In 2007, Dr. Turner was named a North American Society for Sport Management (NASSM) Research Fellow and in 2017 he was named NASSM’s Distinguished Educator of the Year. From 2013-17, he served on the Athletic Council at Ohio State. He is currently on the University’s Fiscal Committee. 305 Annie & John Glen Ave.